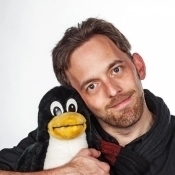 #Linux #kernel and related areas like #xorg, #mesa, #wayland, #qemu, and #mdadm. Account 6/6, for the others see http://leemhuis.info/me/ Opinions are my own. 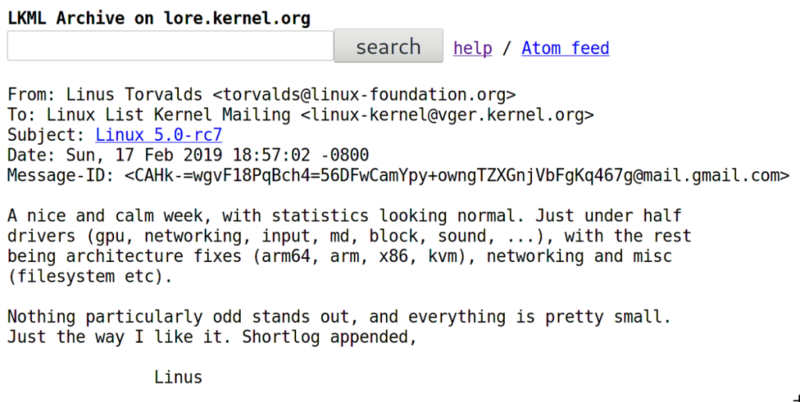 #Linux #kernel 5.0-rc7 is out lore.kernel.org/lkml/CAHk-=wgv… "[…] A nice and calm week, with statistics looking normal. […] Nothing particularly odd stands out, and everything is pretty small. Just the way I like it. Shortlog appended, Linus […]"